A large percentage of M.C.L’s current contracts sit within the public and educational sectors. We work very closely with associations, such as WASBM and GASBM (Worcestershire/Gloucestershire Association of School Business Managers), providing print solution requirements to schools, colleges and academies on an individual basis. M.C.L currently support a range of educational bids, providing cluster groups, consortiums and individual facilities with multiple contracts at a competitive cost. We are no stranger to configuring contracts based on the head of a group, whilst meeting each individual school’s print solution needs and requirements. All of our schools; individual, cluster or consortium, have the option of being able to operate as an independent school, whilst drawing upon the pricing benefits of a group procurement set up, We are also able to offer solutions that work within each county council's leasing requirements and can provide a streamlined and cost effective managed print solution for any size framework. With a wealth of knowledge and expertise, M.C.L consistently endeavor to offer an effective, fair and transparent solution to ensure customer satisfaction across a long term business relationship. By harnessing our specific expertise within this already successful area will mean we can give our customers more time to focus on their core strategies, by enhancing efficiencies, improving business outcomes and delivering cost savings overall. Based on our outstanding service history and account process management, M.C.L have acquired a number of educational case studies, that we are more than happy to discuss in greater detail, so please get in touch for further information at any time. MCL offers a wide range of award-winning Kyocera multi-function office printers, print management software and service support back up to businesses across the United Kingdom. 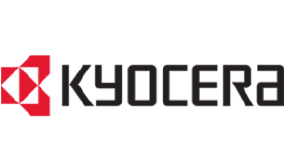 The Kyocera brand provides the print solution industry with one of the most comprehensive line of low to high volume mono multi-function devices, that supports a complete range of print solution environments within any size office environment. M.C.L offers an impressive portfolio of KIP Wide Format printers to businesses in the UK. Our KIP digital printing and scanning solutions for colour and monochrome wide format documents are leading in performance, reliability and value with an exceptionally low cost of operation. What’s more, the design promotes environmental health and sustainability. 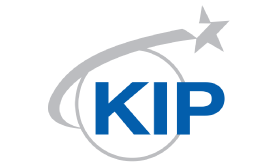 Large scale printing is easy with KIP products, giving you superior solutions for viewing and printing large format engineering drawings, public-works documents and so much more. With its fast output, cost-effective reproduction and superior image quality in both colour and black & white, these wide format printers are perfect for offices who want the most from their investments. M.C.L offers a wide range of Konica Minolta multi-function printers and copiers to businesses of all sizes across the UK. We are a tier 5* accredited service provider for the Konica Minolta Bizhub range of equipment, reflecting the experience and skill we have gained over the many years offering exceptional customer service. 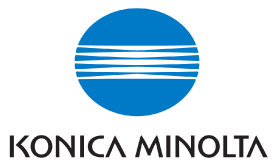 Konica Minolta business solutions offer a wide range of document management services for any size business, giving you the print solution that best fits your needs. Offering an extensive range of fast, cost-efficient, network able multi-function printers that speed up your print output, Konica Minolta business solutions will not only improve your image quality, but help you keep ahead of rising workloads.